Now you square body truck owners can have the No Limit Fatbar Kit behind your truck! 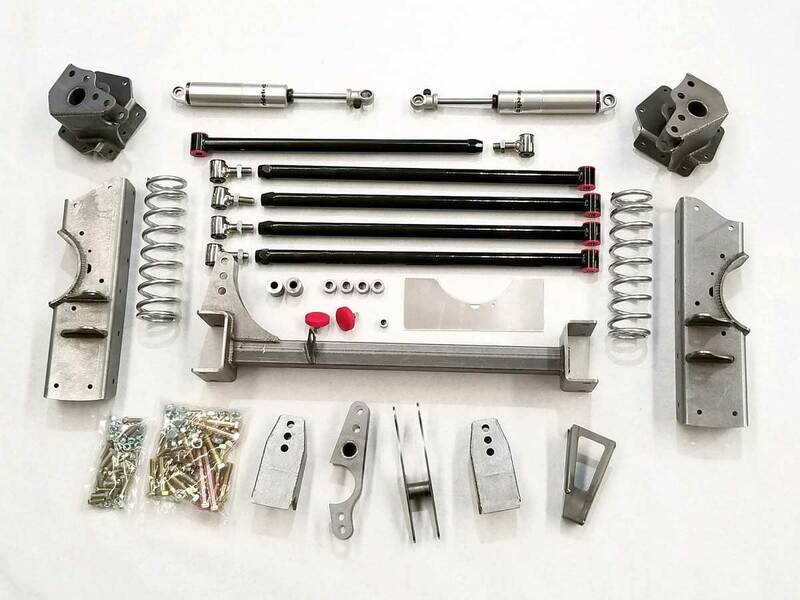 No Limit Engineering just launched a new version of the Fatbar 4-Link for 1973 – 87 Chevy and GMC C-10 trucks. Our Fatbar 4-link suspension is designed for TRUCKS! We use a 220lb spring and a 5″ shock for a smoother ride, rather than many other kits that use a 3″ stroke shock. This means they must use a 300/350lb. spring. The longer bar that we use allows a smoother weight transfer, which trucks desperately need. “Parallel” 4-bar kits do not offer any weight transfer. This is not an opinion, it’s physics. Our kit comes with a 30″ rear mounted panhard rod that has less radial deflection and LOWER ROLL CENTER than short, top mounted locators. If you’re building a hot rod truck, build it with parts designed for a truck. LIKE THE FATBAR! This is the only kit on the market that will give you the ride and performance you’re looking for!